Students return to Palomar College for the Spring of 2019—the first day of classes at Palomar’s main campus in San Marcos, as well as the education centers in Escondido, Rancho Bernardo, Fallbrook and Camp Pendleton. Whether students plan to transfer to universities, sharpen skills, explore new subject areas or move closer to their career goals, they can choose from hundreds of classes with space still available, in a variety of innovative programs. From art and architecture to performing arts and water technology, Palomar has classes to meet a wide range of interests and career goals. 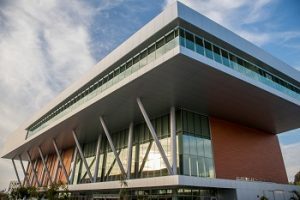 California community college fees remain an affordable higher education option at only $46 per unit for California residents, the lowest cost in the nation. Palomar College offers more than 200 associate degree and certificate programs. For the most up-to-date listing of open classes, view the class schedule online at www.palomar.edu/pages/schedule. 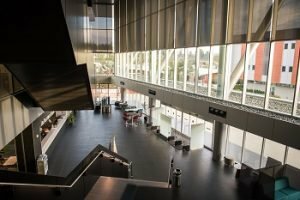 Exterior and interior views of the new LRC at Palomar College, opening for the Spring 2019 semester.